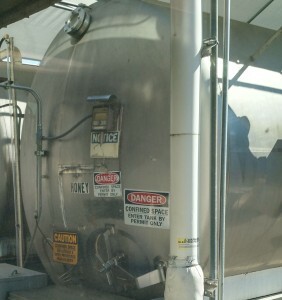 Entries tagged with “confined space”. There is a lot of confusion over confined spaces in construction. OSHA is enforcing these rules since Aug 3, 2015, but has given a 60 day postponement (effective Oct 2, 2015). Right now you need to make “good faith efforts” to comply. For those in construction, you need to get up to speed, and even more importantly, get confident. Unfortunately, this information isn’t going to get you 100% there. Know: host employer, controlling contractor, sub contractor, mobile worker. It may not be obvious. Understand “rescue”. And, the answer is not calling 911. When an accident happens in a confined space, there’s a high likelihood it’s a fatality. If you have confidence in the rules, and, more importantly, in the hazards & controls, confined spaces can be safe. Many construction companies have a multi gas meter (s). Here is my word of caution: if you have one, know how to use it. I bet if you’re reading this post, you do know how. However, do your employees? Let someone else (a GC, or subcontractor) tell you if it’s ok to enter a confined space (or hazardous one). = do you own monitoring, & use your own equipment! Use someone else’s multi gas meter. =do NOT use someone’s meter unless you 1. know the machine and 2. are able to calibrate and see the documentation. Would you send your employees to work in an area you think there might be a deadly hazard? Treat the 4-gas meter like it is your only available tool. Not performing a precalibration and bump test before using the gas meter. Not knowing which sensors are inside the machine (and what they mean). =train your employees on when/why it alarms. CO is not CO2. =the machine is alarming for a reason. You either screwed it up, or something is going on. Figure it out. I had a project where the handheld radios were interfering with the multi gas meter. It took us 2 days to figure this out. Luckily no one was so desperate to work they ignored the alarm. On another project, employees were telling me it was ok to work while the alarm was sounding off. Their response was that, “it always goes off for CO, but we aren’t worried”. Yikes! I was. =you must know what you are measuring for. If you have isocyanates inside the confined space, the multi gas meter is probably not going to give you adequate warning.- if any. Just like wearing the right type of filter cartridge on your respirator, know the hazard you are measuring. Industrial Hygiene in Construction is powered by	WordPress 5.1 and delivered to you in 0.462 seconds using 26 queries.